We thought we were staying in a rough area until we walked the streets to the Fort. I can’t describe the feeling of guilt we all felt on seeing some of the world’s poorest people sleeping, washing and living on the street. The sheer number of people was also overwhelming, I have never seen so many people in one place before, and I’ve been to Ikea on a Saturday. The fort itself was mildly underwhelming so we made a tactical retreat to the familiarity and safety of a Costa Coffee, and tried to solve India’s problems over a blueberry muffin and a latté. Never have we been somewhere where there was so much to talk about. 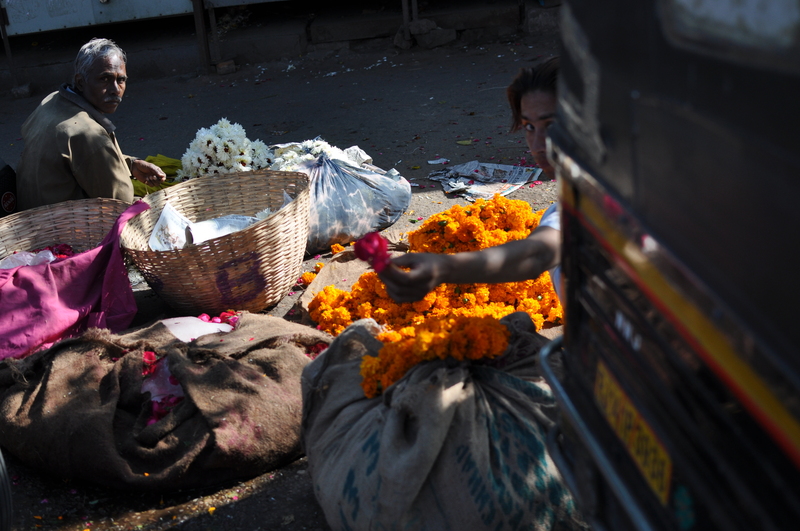 A full day in Jaipur…. 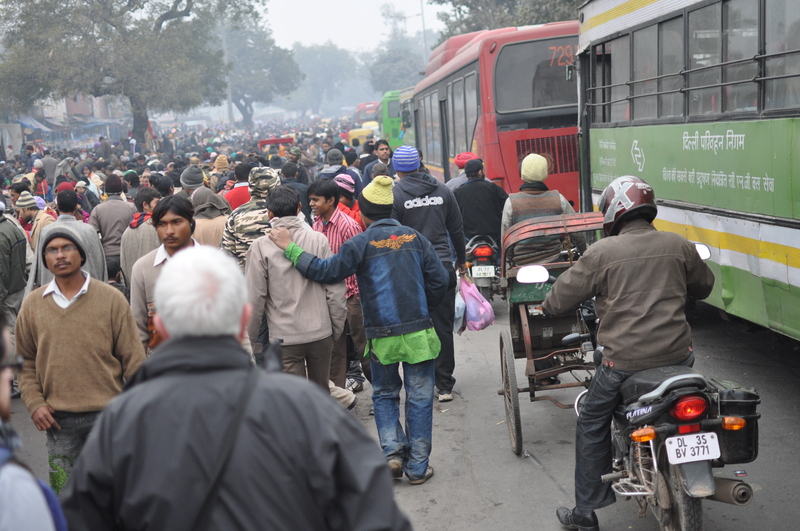 ummm… well it’s as crazy as Delhi and we were accosted by just as many people! However the markets were truly very interesting, unfortunately you just couldn’t actually stand still for more than 30 seconds without being surrounded by folks asking for cash, which did detract from it all somewhat. We did find an amazing roof top restaurant that evening though and went to bed thinking India might not be that bad. It is that bad. We booked a taxi to take us to the station so we could get back to Delhi and catch our flight to Darjeeling. The taxi was late and by the time we got to the station we had six minutes before our train went. Having no idea where our seats were we ran up and down the train until it started to move off without us on it. We jumped on at the rear of the train whilst it was moving, all very Hollywood, and then had to lug all our luggage through the full length of the train aisles, which were all slightly too narrow for our bags. This resulted in the knocking of numerous elbows and legs and lots of ‘sorrys’ on our part. We finally got to our first class compartment but found it was already occupied by another family… a very large family… a family of cockroaches. And so commenced five hours of ‘cockroach watch’ shifts, not the nicest of train rides! We had asked the conductor when he checked our tickets what time the train got into Delhi and he’d said 8pm, so at 7pm when looking out the window I was rather surprised to see a massive ‘Welcome to Delhi’ sign filling the window of the train…son of a *&%£!!??!! What followed can only be describe as a scrum as I woke the three members of our party and we all jumped up and started manically packing our bags and getting our stuff together. Items were thrown out of the door and dumped on the platform as the seconds ticked down and the train started to move off. There was shouting, swearing and furious searching for ipods, passports and cameras! Amazingly nothing was left behind and as the train pulled out, doubled over with hands on knees we all gathered our breath and started to look for the taxi to take us back to our noisy, half finished hotel, complete with horribly stained sheets. We asked a few different people, from policemen to the airline staff and all said that we could not go to Darjeeling as there was a strike on and it was not safe for visitors. Nobody could have told us this before we left Delhi?? and anyway, how do you close a entire town?!? Later searches on the web found that Darjeeling was in fact on strike, with burning barricades and running street battles. It was indeed unsafe and closed! So decision time folks. There was no way we could get to Darjeeling and there was nowhere (and no reason) to stay near the airport in a place called Badogra. It appeared our only option was to get a flight back to Delhi. Unfortunately the last flight back to Delhi had already gone so the only thing we could do was get a flight to Calcutta and from there fly back to Delhi. The only problem with this however was the £600 it would cost!!! Mastercard anyone? So having no other choice and only 20 minutes before the flight took off we paid for the flight and were rushed through security and on to the plane. Whilst on the plane we came to a rather upsetting conclusion: we had no money left, it seemed India had beaten us. With all the extra flights and the fact that we would not get back all the money we had already paid out for hotels (both in Agra and Darjeeling) that we now could not get to, we had no more cash to do anything other than sit in Delhi and wait for our flight home in seven days time. So after literally running across the main runway in Calcutta to catch our connecting flight back to Delhi we came to the grim conclusion that our best option was to fly back to Bangkok with my brother and dad. Although this might look like we were giving up we really had no money left to throw at India in our attempts to make the best of things. Decent hotels (by this I mean hot running water and vaguely clean bedding) cost European prices and the trains are all booked up months in advance, which means for last minute journeys flying is your only option. We were all gutted, as we had looked forward to India for such a long time and it was just so disappointing. The country itself reminded my father of Lagos in the 70’s which is no good thing, and although we only saw a very small part of India speaking to others it seems as if what we experienced is pretty much wide spread. It’s the bureaucracy and the ‘round the houses’ approach for the simplest of tasks more than anything else that is so annoying. I have one example from hundreds to emphasize my point: I went to buy a magazine in a shop. I went to pay for said magazine at the till but was told that I had to pay for the magazine on the bottom floor. Fine, but I could not take the magazine with me, I was simply handed a receipt and told that the magazine would be waiting for me when I got there. I went down to the bottom floor to pay the 40p and was given another receipt and then told to go across the entire building to pick up my magazine. I handed my two receipts to the man behind the pick up point, was given another receipt (my 3rd) and finally handed my magazine. The whole process took about 20 minutes and employed for people four me to get my 40p magazine, great stuff. So that was India! It was dirty, smelly, (open lakes of urine on the street is never pleasant), exhausting, frustrating, and very, very expensive. We are now back in Thailand, which I’ll be honest is a huge relief. India is a fascinating (in a ‘jaw dropping total and utter disbelief’ kind of way) country; the sight of women looking for food in the same pile of rubbish as animals is an image I’ll never forget. Note to self, when I get a job again I must give more to charity. 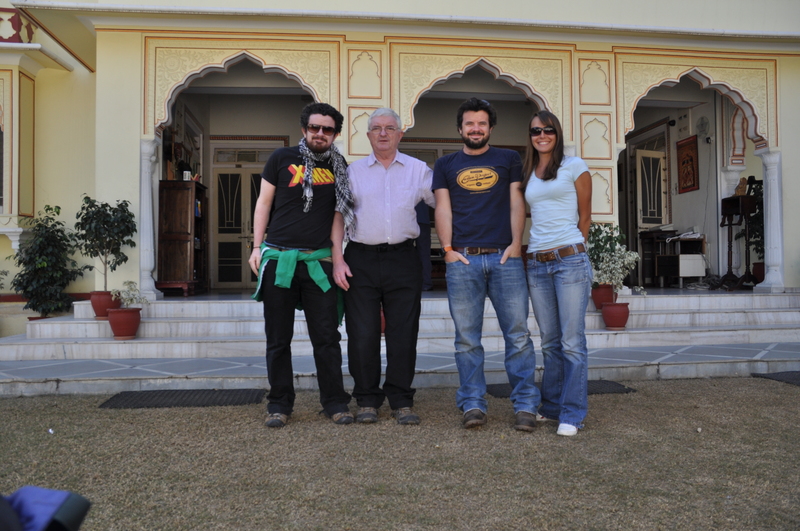 ‘Don’t go to India’, said one of our mates we met on our travels though the Middle East. ‘Its proper mental’ was his response. Actually, there were a few more swear words in there but as my mother reads this I’ve edited it somewhat. However, the crazy despair in his eyes that told me that he truly meant it… but it couldn’t be that bad, could it…? We’ve driven though Iran in a car that looks like it’s an advance party for the entire British army, so how bad could India really be? However, in the future if a crazy Aussie who’s seen action in Afghanistan tells you that somewhere is f*&^ *%$ (*&@£ ^%$^* *&^%$)_*^ mad, then believe him. The first leg of our trip started quite well: we dropped the car off at… and caught our flight, landing on time in Delhi. 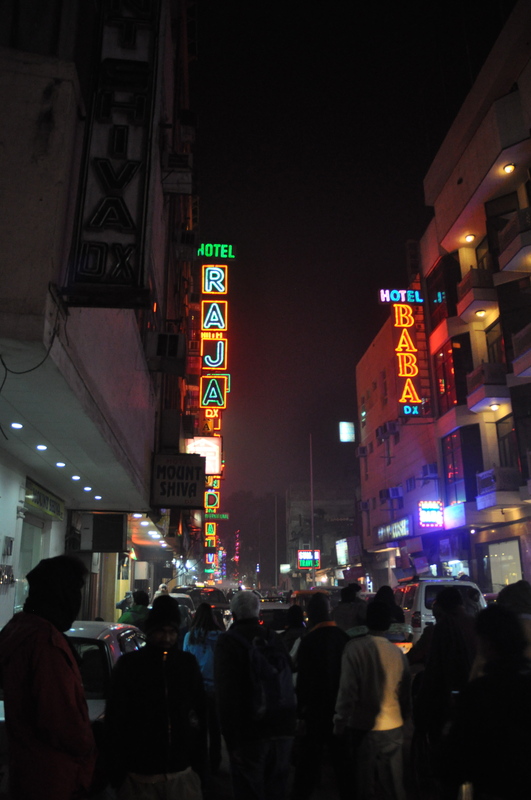 We were met at the airport by our hotel, another plus and whisked off into the heart of old Delhi. From then on things started to go badly wrong, and if I tell you the highlight of our trip was seeing the man at the airport from the hotel then perhaps you can get a sense on just how badly…. We were deposited at our hotel, which looked nothing like it did in the pictures on trip advisor, and unknown to us it was situated in one of the poorest areas of the city. The level of poverty was shocking. It was dark when we arrived but even without the sun’s helpful rays we could see the appalling conditions some people have to live in. Eye opening doesn’t really describe it. Our room itself was only half finished, there was a lift shaft running next door the room, which was unbelievable noisy, shouting from the staff outside our room and clearly building work going on in the room above even though it was midnight. Welcome to India. After a little word in the manager’s ear the building work was stopped and the bellboy’s recipe for stopping the lift noise was to close our bathroom door and ask for a tip. Joker. It was too late to change hotels and to be fair it did seem fairly clean. So we went to bed mildly concerned with how we would cope with the next two weeks. 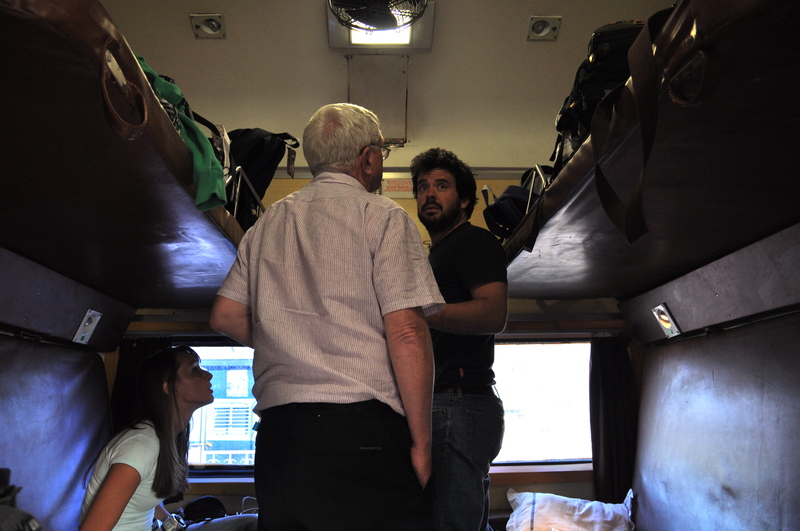 My brother and father arrived the next day but I will leave it to them to describe their journey in a later blog. As soon as we stepped out of the hotel we were bombarded by people trying to get us to part with our cash, from taxi drivers to ‘helpful’ locals trying to get us to use their mate’s tourist agency. One guy at the train station demanded to see our train tickets just so he could charge us to get them back again. Luckily we’d read all the guidebooks telling us about these scams and simply ignored them or called their bluff. We never felt unsafe but the constant barrage of noise from people and cars was draining. 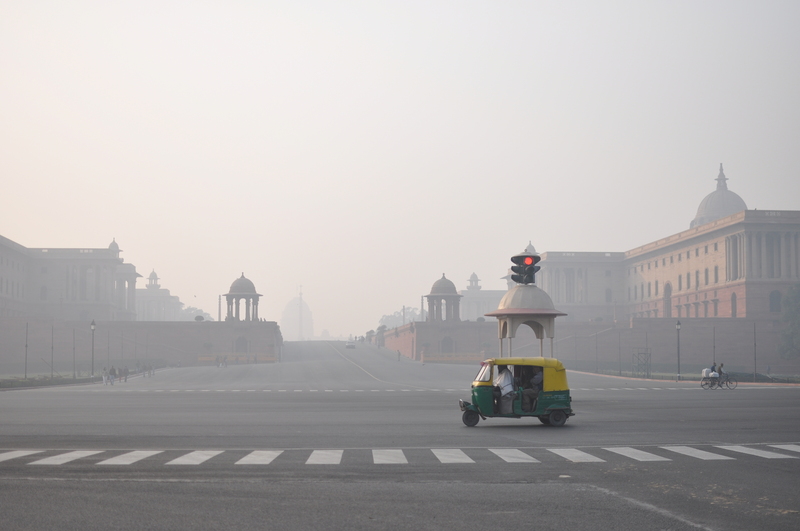 The plan was to spend one day in Delhi, which was enough, before catching the train to Agra. 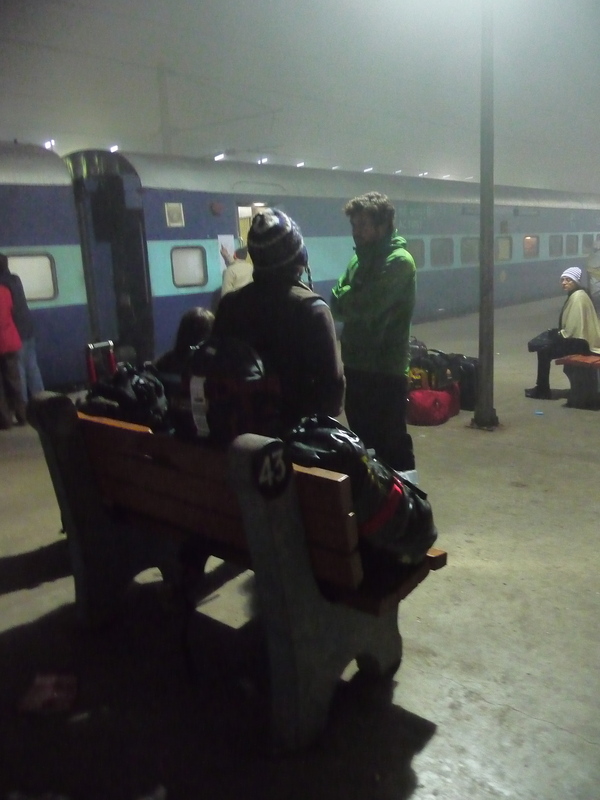 However, we found out that morning that our train to Agra was delayed by six hours and would only be departing at midnight, which meant we had another day in Delhi. So we went to visit the national museum, which cost an absolute bomb to get into and whilst we were admiring some paintings the lights went out due to a power cut and we were left in total darkness! no emergency lighting, no guides showing the way out, nothing! (In hindsight it would have been the ideal time to steal priceless works of art). After five minutes had gone by and realizing that no one was coming to rescue us my dad (ever the scout) remembered he had a small touch on his key ring and we found our way out. Asking for a refund we were pointed to a sign at the entrance, “No refunds, even if there is a power cut.” It seems this was not the first time this had happened. Welcome to India. After spending an enjoyable afternoon wondering around some of the grand government buildings we walked back to the hotel, careful not to tread in the lakes of urine that cover vast areas of pavement, to get our luggage and wait for our train. We decided to use to subway to get some of the way back, big mistake. Rush hour on the northern line has nothing on the Delhi underground system. In fact, the carriages on the northern line in rush hour look empty compared to the crush we experienced on that afternoon. To get off the tube at our stop my secondary school rugby training was called upon! To cut a long story short, after all that we were still waiting for our train at 2am, 8 hours after it should have been there. We gave up, no one seemed to know anything about our train and the official story was that it was lost. LOST! How do you lose a train!?! None of us wanted to go back to the hotel where we had spent the last couple of nights but after ringing around and an hour long fruitless trek with all of our luggage we had no choice. In fact by 3.30am our old hotel looked like the bloody Ritz.